Costa Rica is a jewel of a country, and despite having a nearly $3 billion tourism industry, it remains a destination in which it’s easy to find spectacular tracts of unspoiled wilderness. The birding is exceptional, and for those who like a little adventure, there are myriad options. Rain makes the jungle look dramatic and mysterious. Since I had kept mostly to the north on my previous visit, this time I turned south from San José. It didn’t take long to leave the city behind and enter an emerald landscape of forested ridges and low mountains. We had arrived in November, at the end of the wet season, which meant everything was still a vibrant green. The words “wet season” strike fear into the hearts of many, but an occasional rain shower in Costa Rica isn’t inconvenient. Rain makes the jungle look dramatic and mysterious. A hike in the rain — protected by a poncho and waterproof footwear — can be a surprisingly refreshing experience. And it feels rather cozy to sit on a covered terrace during an afternoon downpour. 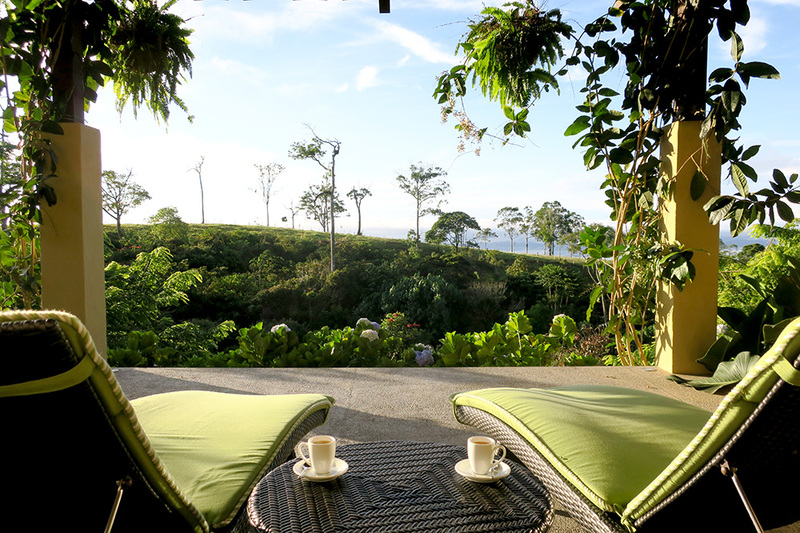 We awoke to bright sunshine the morning we headed to Hacienda AltaGracia, one of Costa Rica’s newest luxury resorts. 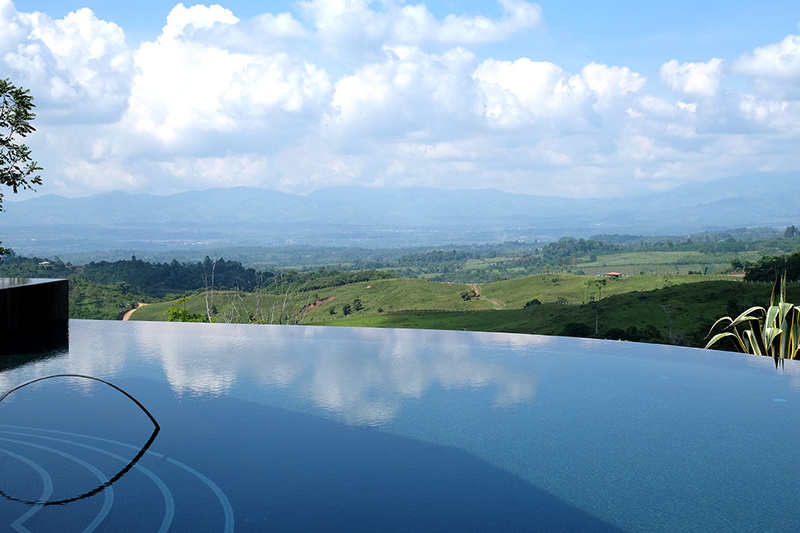 Although the distinguished Auberge Resorts company manages the property, it belongs to Alberto J. Esquivel, a Costa Rican horse enthusiast, who originally envisioned the 865-acre estate as a personal vacation retreat. It’s now a 50-room hotel, but it still feels private and exclusive, hidden on a remote mountainside overlooking the canton of Pérez Zeledón, near the small, untouristed city of San Isidro del General. At check-in, the reception building impressed with its stylish décor and broad terrace, but we spent only a few minutes there at the beginning and end of our stay. As soon as the paperwork had been completed, we were whisked away in a golf cart up a steep, garden-lined road to our Deluxe King Suite. Even this entry-level accommodation was spacious, with a deep sofa and armchair, as well as a comfortable mission-style king-size bed with matching nightstands. Sisal area rugs on the gray tile floor added warmth, as did the wooden ceiling. The white faux-marble tile in the well-lit shower-only bath was quite convincing. Feeling hungry after our drive, we ordered a room-service lunch of shrimp and rice with fragrant watermelon-ginger spritzers. The food arrived promptly, piping hot. A hummingbird darted around a nearby jasmine vine as we ate on the terrace, overlooking tropical gardens. During our stay, the resort’s restaurants mostly impressed. I particularly enjoyed perfectly cooked lamb loin with butter-braised leeks and house-made tortellini, served in the chic main restaurant, Ambar, and some delectable grilled snook with grilled fresh vegetables in the aptly named El Grill, a cavernous space overlooking a horse-riding ring that is open during equestrian events. Some dishes were less successful. A quenelle of green-apple sorbet overwhelmed the delicate flavor of a salmon tiradito, and a lunch of banana leaf-wrapped chicken with achiote tasted inexplicably bland. Cocktails, too, were a mixed bag. The Altagracia Lemonade with Cacique Guaro (a local sugar cane spirit), lime and ginger was tangy and refreshing, but the complimentary welcome cocktail, a guaro sour, came cluttered with grenadine and blue curaçao. We had the latter drink in La Cantina, a horse racing-themed bar that, like El Grill, felt surprisingly sterile. The lounge adjacent to Ambar was much more inviting and a perfect place to indulge in a digestif of local Ron Centenario 20 años Fundación rum. 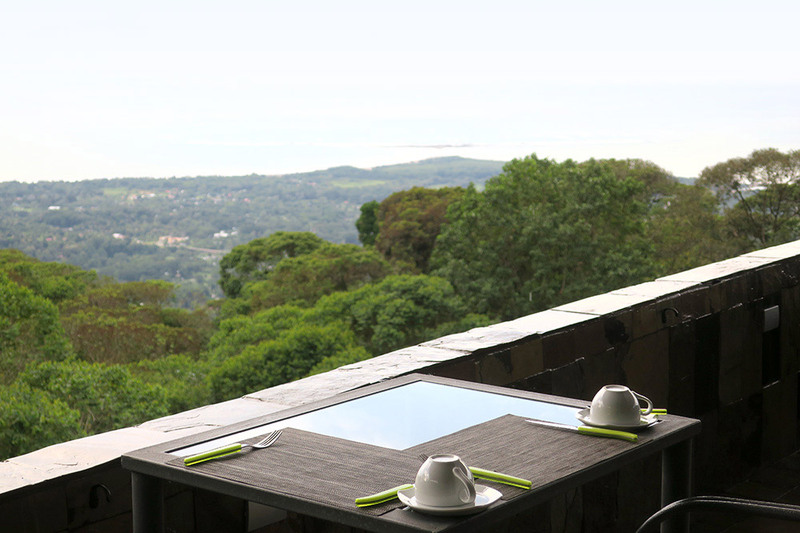 Breakfasts on Ambar’s terrace, which had stupendous views of the countryside, were also a considerable pleasure. Hacienda AltaGracia isn’t an especially convenient base for sightseeing — Marino Ballena, one of the closest national parks, is 90 minutes away — but we had a marvelous time on the property itself, where chauffeured golf carts were always close at hand if we didn’t feel like walking. Yendry, an intelligent and energetic guide, took us on a jungle hike along a river enlivened by sets of rapids, during which we spotted tanagers, falcons, woodpeckers and hummingbirds. She also led us on a relaxing horseback ride, from grand and immaculate stables along scenic hillside gravel paths. 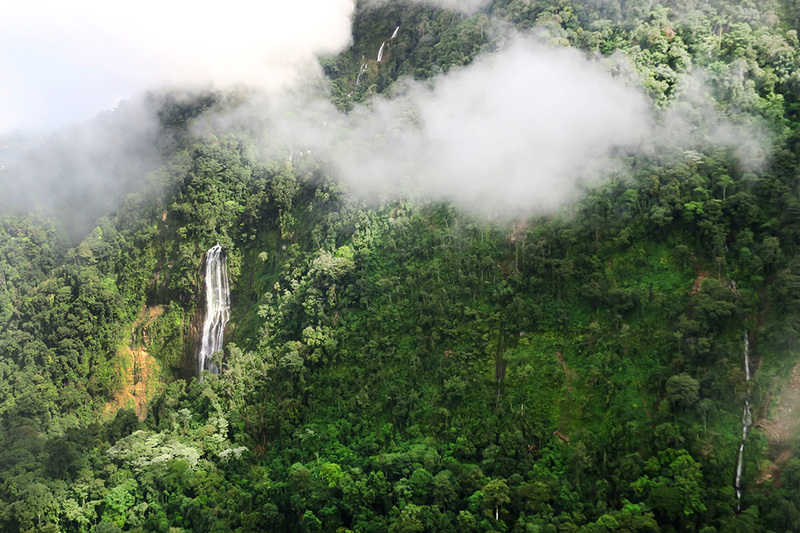 The highlight of our stay was an exhilarating trip in an open-air ultralight airplane, which flew along the coast and close to two immense waterfalls. Afterward, a spell in the spa seemed like just the thing. 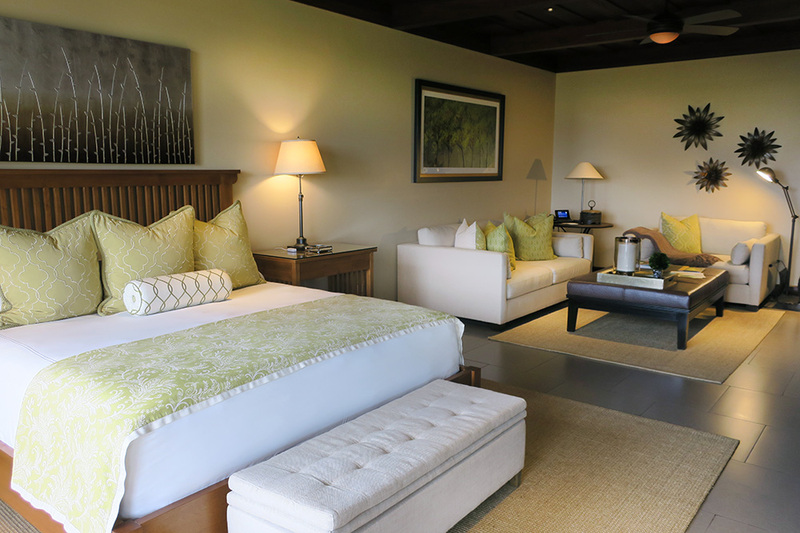 Auberge is known for its spas, and Hacienda AltaGracia’s is true to the brand, with numerous plush treatment rooms and a soporific relaxation lounge. 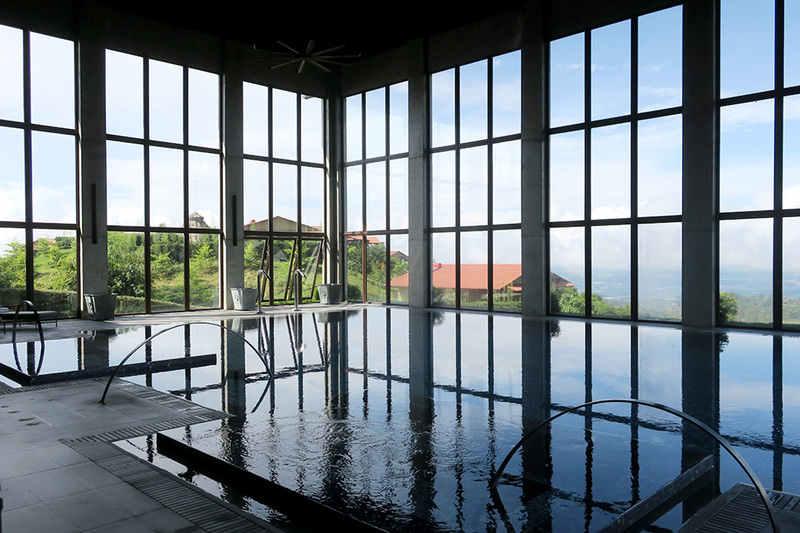 Soaring walls of windows surround the indoor pool on three sides, providing mesmerizing views of the countryside below. The resort’s other pool, farther down near Ambar, was partially under renovation. It will be an adults-only pool, as soon as a third, family-friendly pool is complete. Casita 7 directly overlooks the family pool, making this accommodation an undesirable choice for couples. Casitas, as opposed to suites, generally have the best views, but 7 through 10 and 25 are exceptions. Suites 26, 27 and 30 also have compromised views. 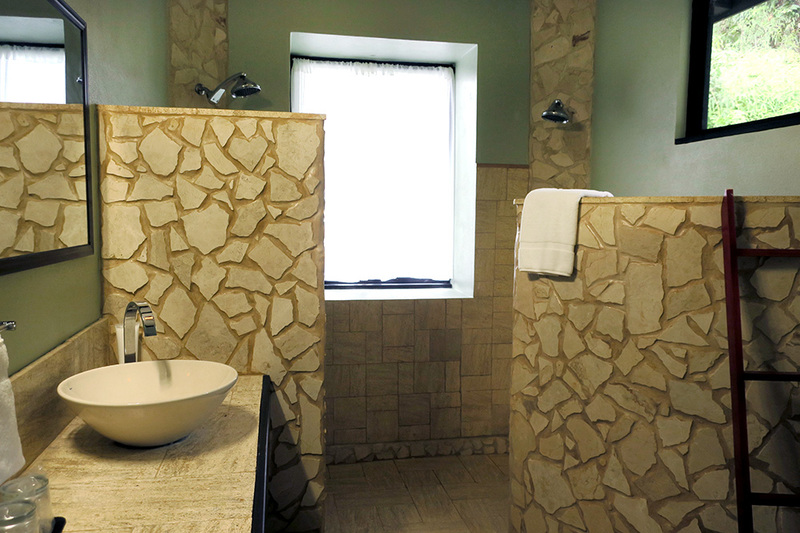 If you book a suite instead of a casita, request 32 through 35 or 49 or 50 near the spa. 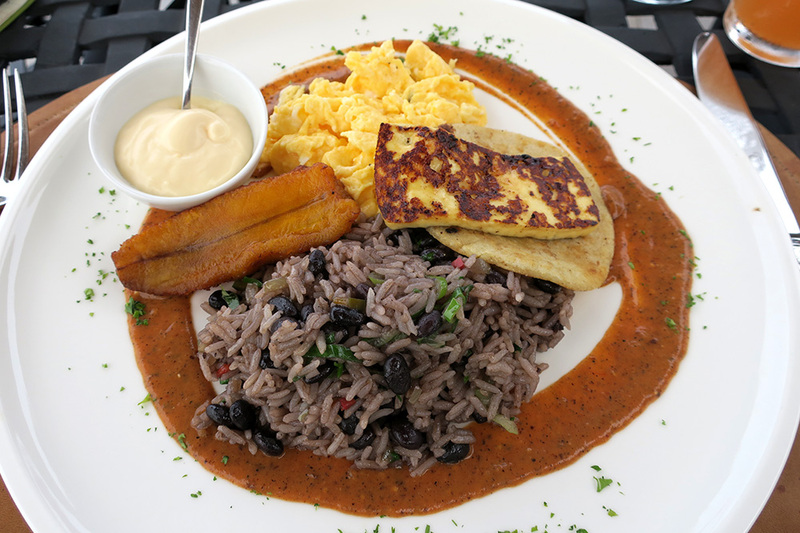 On our last morning, as we sat on Ambar’s terrace enjoying a classic Costa Rican breakfast of eggs, tortillas, toasted cheese, rice and beans, clouds clustered in the valleys below. For a while, the resort seemed to be floating above the verdant, sun-soaked countryside. The plush and spacious accommodations; the always friendly and helpful staff; the memorable on-property activities, many of which are ideal for children; the relaxing and flawlessly maintained spa; the immaculate stables. The uneven food; the sterile main bar; the unsightly construction on the outdoor pools; footpaths connecting the paved roads were often overgrown. Guests can charter a plane to take them directly to the resort’s airstrip or fly commercial into San Isidro del General, about 15 or 20 minutes from the property; the three-and-a-half-hour drive from San José is quite pretty, winding through green mountains and vast palm plantations. 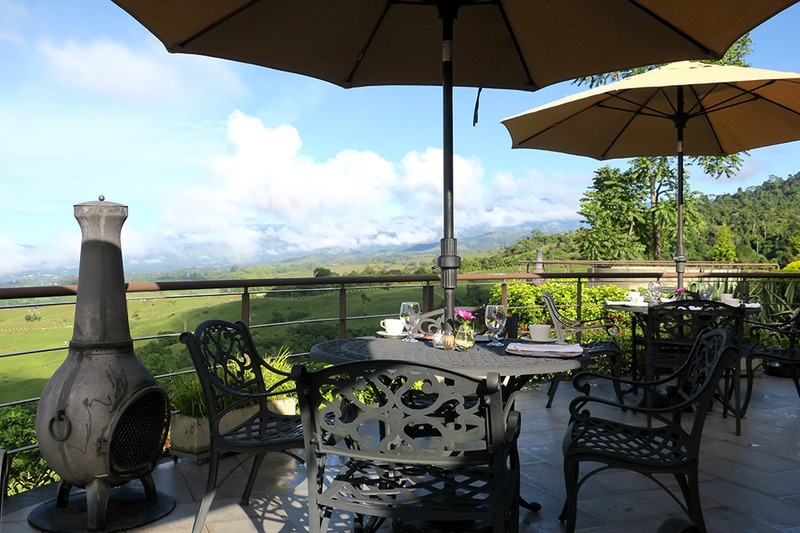 We combined our stay at Hacienda AltaGracia with time at Rancho Pacifico, a much smaller ecolodge closer to the coast, perched high above Marino Ballena National Park. Chicagoans Mark and Marlo Leaman purchased the property last August, and they are now infusing new life and energy into the resort. Rancho Pacifico currently has three villas of varying sizes (with one, two or three bedrooms) and two smaller Treehouse accommodations. The property originally had several suites as well, but a major storm caused a mudslide, making the building containing them unsafe. After it has been demolished, the Leamans plan to build new suites. Fortunately, our two-bedroom villa had been unscathed. It afforded a view of lush jungle and, through a break in the trees, the famous “Whale’s Tail,” a huge spit of sand stretching from the beach to a wide line of rocks. 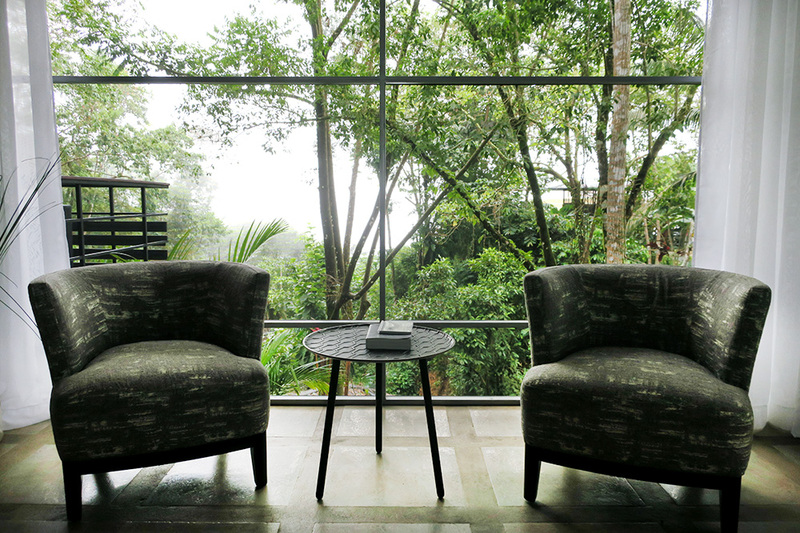 It was a delight to sit and read on our covered terrace, furnished with a sofa, two armchairs and a coffee table. Even in the rain, when the coast was obscured, it felt romantic to lounge there, protected from the elements. Sliding screen doors separated the terrace from the rest of the villa, which had an open-plan space with a kitchen area divided from a full dining room by a counter with stools. This central space connected to a smaller living room, a full bath with dual vanities and a two-person shower, and an upstairs area, which featured one of the two bedrooms. We chose the bedroom on the ground floor, as it had more storage space and a more convenient bath. An outdoor hot tub will eventually connect to this bath. A short walk away we found the resort’s main public spaces. Above the small pool a terrace provided magnificent sunset views. Service in the nearby restaurant was friendly but often quite slow. The food, too, was uneven, with some delicious dishes, such as creamy ginger-carrot soup, and fresh red snapper in a mango sauce, as well as some less successful creations, such as slightly overcooked pork and fish tacos. 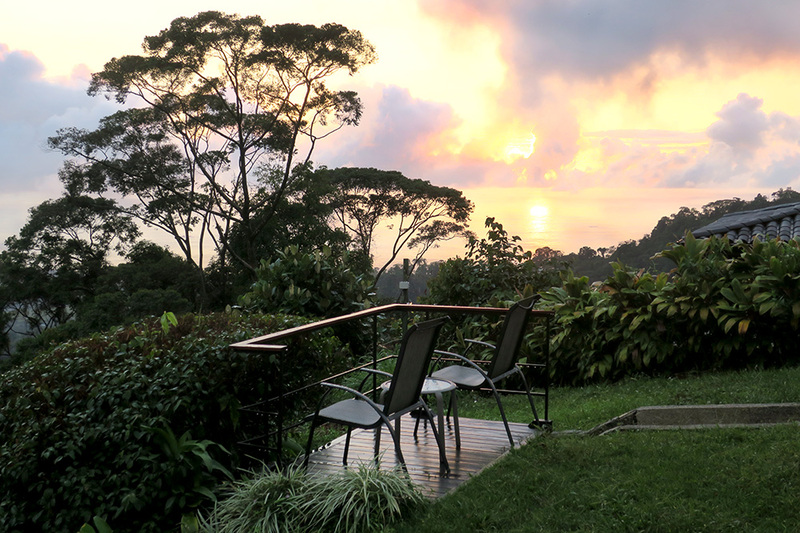 Aside from coffee scrubs in the open-air valley-view spa and an excursion to Marino Ballena, we spent our time hiking on jungle trails, spotting monkeys and a variety of birds. 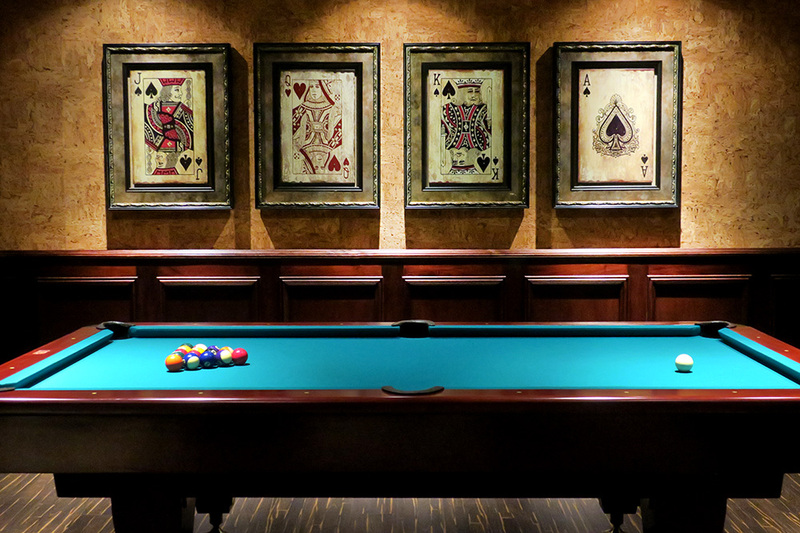 The Leamans are gracious, engaging hosts, and from start to finish, we felt like honored guests in their own home. 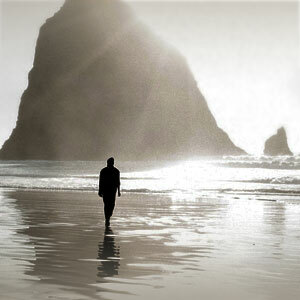 Nevertheless, Rancho Pacifico still feels like a work in progress. 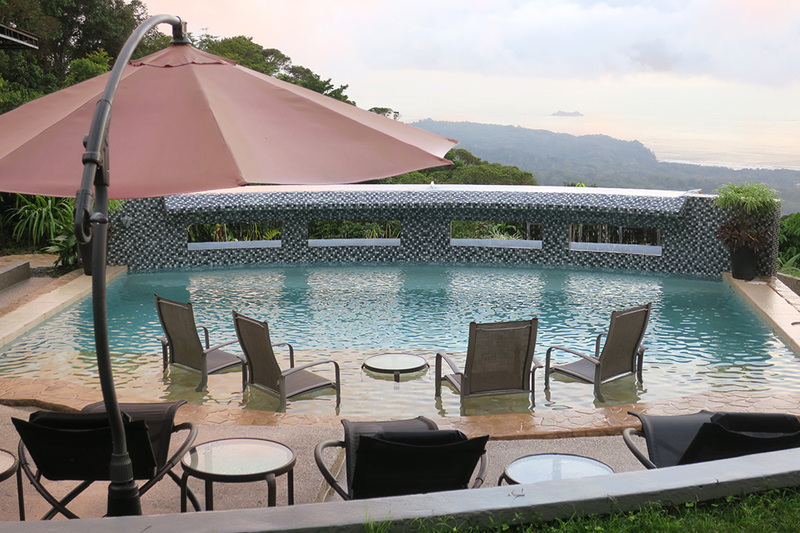 There was intermittent construction on our villa’s hot tub, as well as the addition of a new parking lot and the revitalization of the gardens. In the near future, the construction of the new suites will begin. A bridge allowing monkeys to cross the road to the jungle was unfinished during our visit but is now likely complete. Many travelers will appreciate being more at one with the environment, which is, after all, the primary point of most trips to Costa Rica. On the other hand, there is something to be said for being able to escape to a climate-controlled environment from time to time. 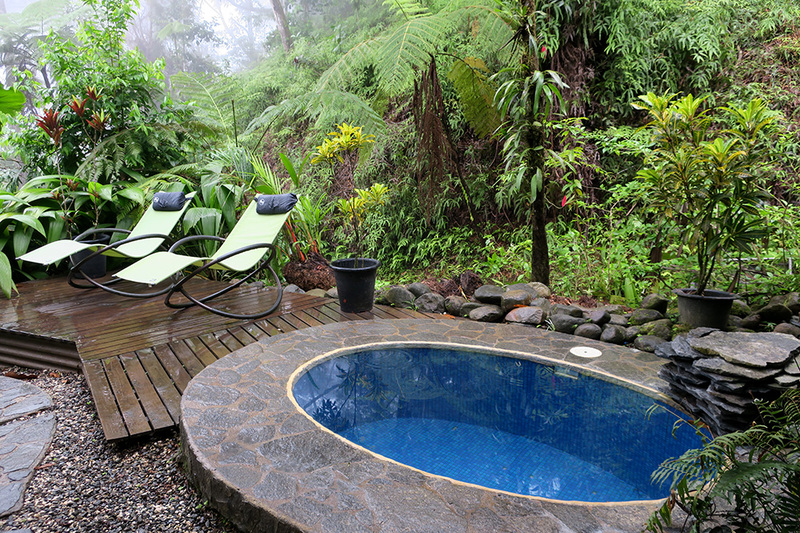 My favorite itineraries in Costa Rica include both experiences. 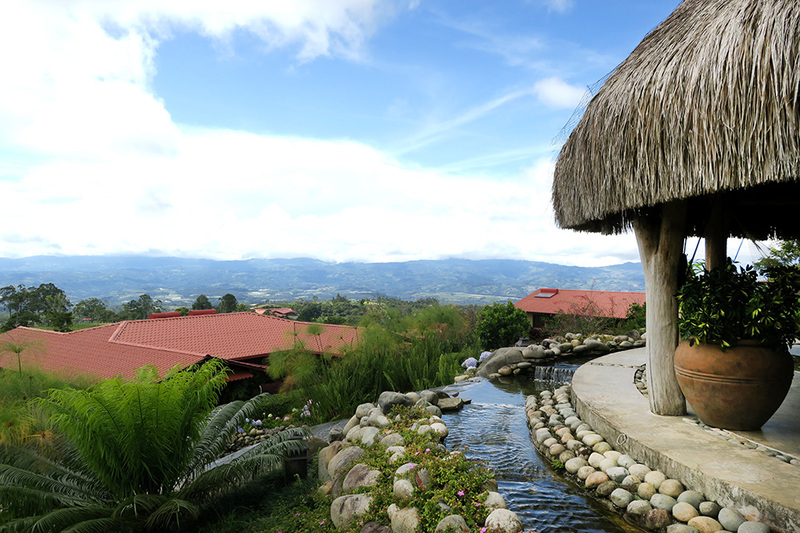 I recommend starting at an ecolodge like Rancho Pacifico and finishing somewhere like Hacienda AltaGracia. That way, you give the extravagantly beautiful environment its due before retreating to air-conditioned luxury. 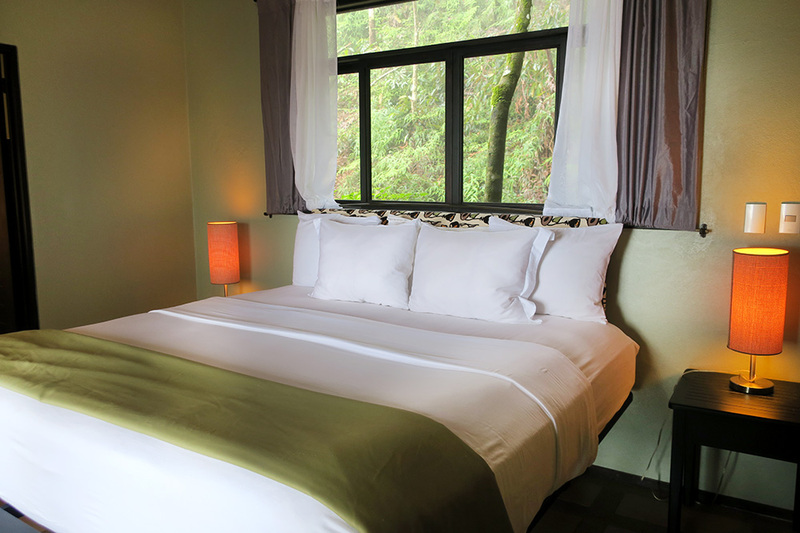 The remote mountainside setting overlooking the coast; the panoramic views; the warm staff and the very hospitable owners; the property’s connection to its environment; the doorstep hiking; the many planned improvements. The inconsistent food; the lack of a telephone in the room (the Wi-Fi was not strong enough for our cell phone to make calls); the noise from the construction of the hot tub outside our bath; the power lines visible from our balcony. We had a delightful time at the hotel, but before making a reservation, check to see what construction projects are ongoing. Accommodations are screened, with no air-conditioning (nights are cool).